The pureness of simplicity. This is the inexplicable allure of trail running. 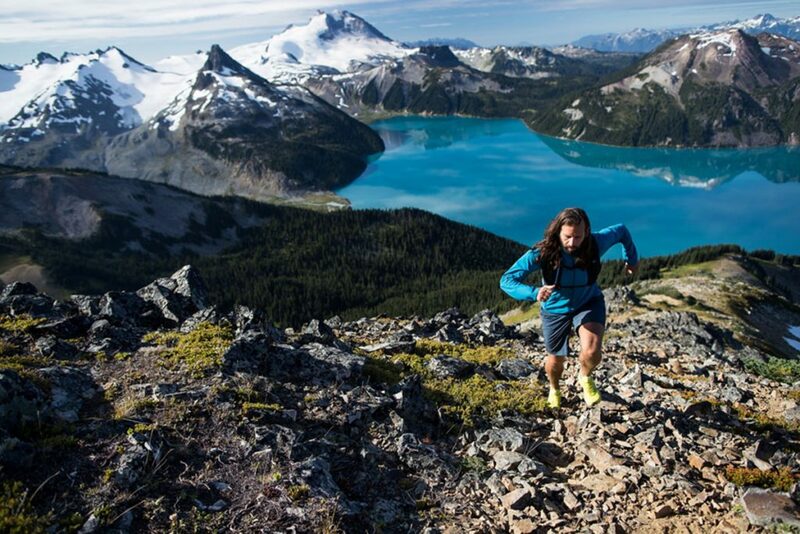 Unlike equipment-intensive activities, trail running allows runners to experience the vastness of distant peaks and the solace of remote lakes with the least amount of gear. 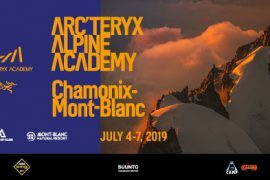 Embracing this minimalist approach, Arc’teryx proudly expands its commitment to the trail running category for Spring 2018 with several products specifically designed to cover the long distances it takes to reach the wildest, most remote places. Using light-by-construction design principles, Arc’teryx delivers an entirely new assortment of comfortable, functional and protective products that liberate trail runners to move faster, travel farther, and push personal boundaries in isolated locations. 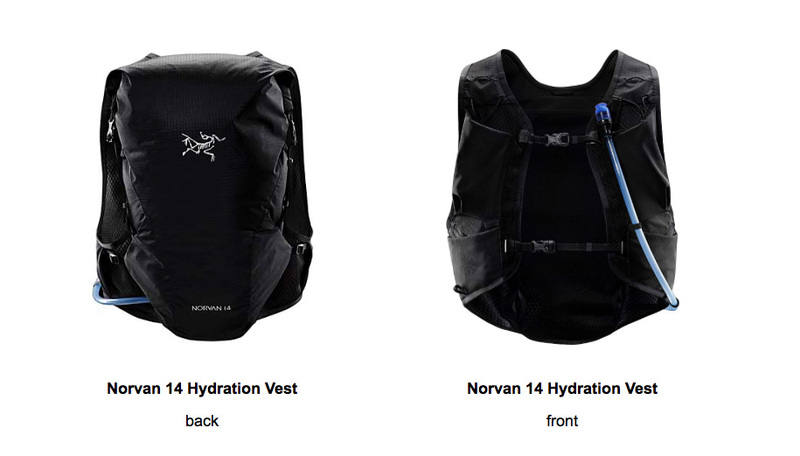 Leading the pack are the Norvan 14 Hydration Vest and Norvan LD (long-distance) shoe. Building on the successful introduction last season’s Norvan VT, Arc’teryx expands its trail shoe assortment for 2018 with the new NORVAN LD, designed for all-day comfort on distance runs over variable terrain. 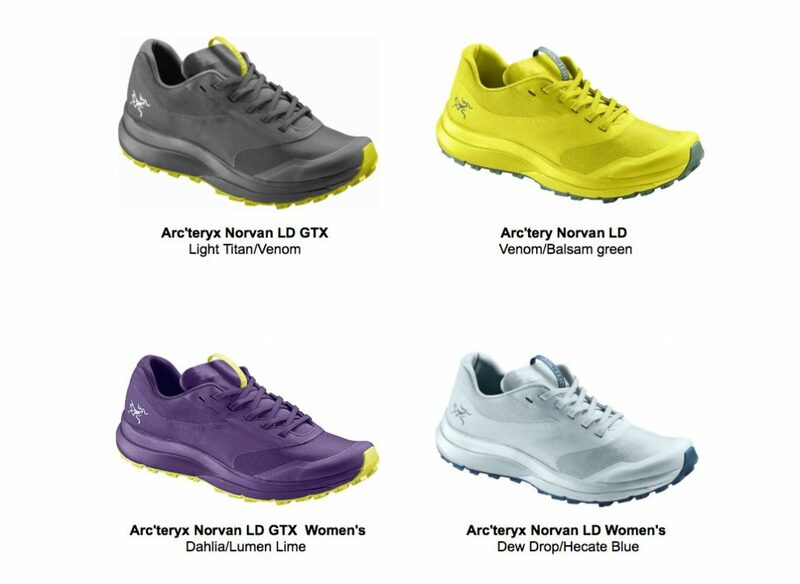 Delivering the optimal mix of support, stability and traction, the lightweight yet sturdy design of the NORVAN LD creates an exceptionally balanced shoe that dominates the entire spectrum of mixed conditions and terrain. Uniquely engineered to deliver performance at every stage of a runner’s gate, from initial contact through propulsion and take off, the NORVAN LD utilizes a raised perimeter sidewall to help the foot sit deeper in the shoe for inherent stability. The 3-piece midsole, comprised of 85% Compressed EVA and 15% Polyolefin, also includes a 0.7mm TPU plate located at the midfoot to deflect impact from sharp objects and an anti-fatigue insert at the medial heel to fend off foot fatigue. The 9mm heel-to-toe drop and 27mm/18mm stack height deliver equalized versatility and protection for runs that take you uphill, downhill, and every gradient in between. Built for long hauls, the lightweight and minimalist upper provides comfortable support all the way through the forefoot for a supportive foothold and stability. The Vibram® Megagrip sole delivers unsurpassed traction and positive contact with the ground with its 3.5mm square-shaped lugs specifically designed to grip a variety of terrains (in any weather) without limiting propulsion. Available in men’s (310gr) and women’s (260gr) for spring 2018. Finally, Arc’teryx is proud to announce that the Norvan LD GTX is the first shoe in the outdoor industry to include GORE-TEX®’s new Invisible Fit Technology, which laminates the GORE-TEX® membrane directly to the upper for complete waterproof protection, with less weight (18% lighter) and more comfort. This direct bonding technology eliminates wrinkles and folds for increased comfort in the heel and widens the toe box for increased overall comfort. Reduced water pick-up results in a 50% faster dry time compared to the traditional GORE-TEX® bootie construction, which is ideal for people on day-long runs. Applying its expertise in apparel design and pack construction, the new Norvan 14 Hydration Vest delivers enough capacity to travel long distances with a fit and comfort never experienced before in a running vest. Built to carry the hydration, calories and extra equipment needed for extended wilderness exploration, the Norvan 14 offers an exceptionally precise and comfortable ‘bounce-free’ fit that wears more like clothing, yet with the functionality of a backpack. The Norvan 14 Vest is the ideal companion for long adventures and training days without aid stations. The vest offers multiple storage options for on-the-go access to water, food, and other key essentials, plus a weather proof compartment to keep items protected from the elements. Rugged by construction, yet lightweight by design, the body of the Norvan 14 is built with dynamic, durable and quick-drying WarpKnit™ Mesh for exceptional fit, freedom of movement, and air permeability. A weather-resistant, RollTop™ storage compartment on the back protects contents from weather while four Powernet Stretch Mesh front pockets organize soft flasks, digital tools, and other small essentials for speedy one-handed access. Side compression straps easily adjust to tighten and minimize load shift. Other critical features include zippered security pockets for keys or cash, exterior trekking pole attachments, and a two-liter Source™ hydration reservoir that integrates seamlessly into the vest for full-time water flow. Also available in a 7-litre version, which offers all the same functionality and features yet with a slimmer profile for shorter trips into wild places. Arc’teryx athlete and famed alpine runner Adam Campbell field tested the Norvan 14, “Unlike most running/race vests that stop being functional the moment you need alpine gear, the 14L vest is a pure adventure vest that works for self-supported light and fast mountain outings. It also recognizes that mountain environments can be wet and cold, as well as abrasive and its design and durability ensures it can take a beating. This pack doesn’t impede movement, it’s light and doesn’t feel bulky when full.”.